Budapest, Hungary has been one of my favorite cities I've visited thus far. There is natural charm in every corner of the city, coupled with so much history (albeit sad, Soviet and Nazi). Plus, it is practically impossible to be bored. For being a capital city, it is relatively cheap. 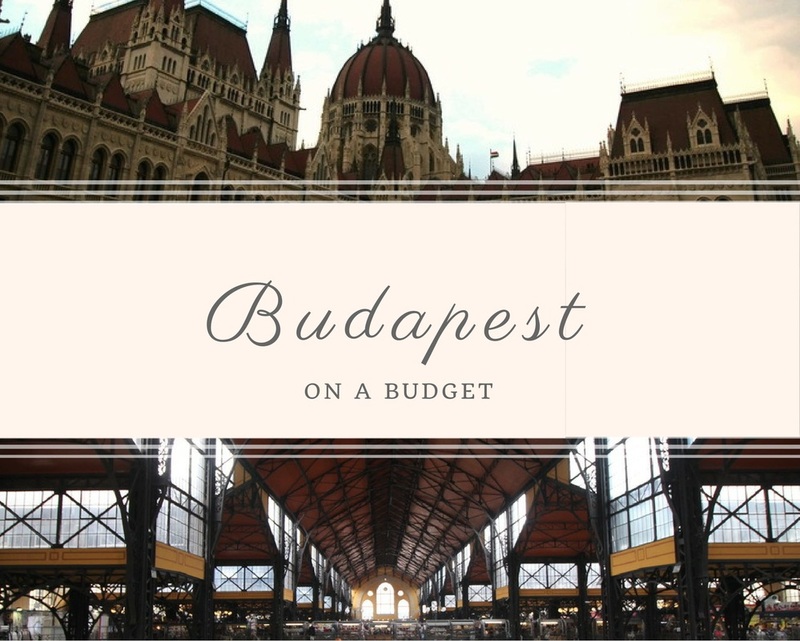 I have arranged a diverse list of things I did, places I saw, and food I ate and drank in Budapest - all for low prices. Fisherman’s Bastion is a Gothic terrace which offers great views over the city. There are seven towers which represent seven tribes which settled in Eastern Europe around the year 896. They had to be restored after near destruction during World War II. It is free to enter, but the restaurant is pricey. Saint Stephen's Basilica is a Roman Catholic basilica built in honor of the first king of Hungary. It was completed in 1905. The basilica took 50 years to complete, starting off in the neo-classical style of architecture and ending up in neo-renaissance. It is the tallest building in Budapest. Now, it is possible to take the stairs all the way to the top for great views over the entire city. From here, you'll be able to see just how diverse the architecture of the buildings is. Entry to the church is free, and getting to the top will cost you next to nothing. Nearby Saint Stephen's Basilica is Gelarto Rosa. This dessert shop sells gelato in the shape of a rose. It is a popular tourist attraction, but I didn't think the gelato was all that great. To hold its shape, it cannot be creamy. You can choose between around twenty flavors and opt for the small (two flavors) or the large (three flavors). I chose caramel and strawberry. The Hungarian Parliament Building's spectacular architecture can be admired from any point along the Danube river. You can also go on a guided tour where you’ll see the staircase, coronation jewels, and Dome Hall. Tickets are sold here. It looks even more beautiful at night, so if you have time, make it a priority to see it in lights. While I was here, I was able to see the Hungarian soldiers perform a flag folding routine. Blueberry wine? Cherry wine? While walking around an outdoor market, I bought a glass of warm apple wine. It tasted like apple cider and I've been craving it since. Immediately after exiting Andrassy ut metro stop, you'll find Budapest's most popular square. In 1896, the statues in Heroes' Square were build to commemorate the country's heroes as a celebration of Hungary's 1000th birthday. There is no denying that Hungarian food is heavy. It consists of lots of bread, paprika, meat, and sour cream. But it is also fresh, tasty, and cheap. Pictured above is rabbit stew from the Central Park's market, directly behind Central Park. Markets are one of my favorite parts of traveling. Not only do markets give you a glimpse of the foods available in a place, they also allow you to people watch. This three story indoor market sells everything, from Hungarian peppers and fresh fish to leather and cultural souvenirs. It is impossible to go to Budapest and ignore the gruesome history. While walking along the Danube promenade, I came across this memorial. It is dedicated to the innocent people who were lined up, forced to take off their shoes, then shot, so their lifeless bodies would into the river and float away during the years 1944 and 1945. It seems like an off activity for an adult to spend half a day at a zoo, but I am really glad I did. The Budapest Zoo was unlike any zoo I had ever been to before. The male and female animals were mixed together, which offered wonderful entertainment in each cage. By the time I reached Citadella at the top of Gellert Hill, it was raining, I was freezing, and overall quite miserable. Nonetheless, it offered great views over the city. Citadella was built in 1851, after the Hungarian Revolution of 1848. It offers a complete view over the entire city, which naturally meant it was used for military purposes. House of Terror - A Soviet Museum with a no photo policy. I gained so much information about communism during my time here. Ruin Bars - These are famous in Budapest. I don't have any shareable photos from that night, but if bars are your scene, I suggest going! Jewish History Walking Tour - Free, but tips are accepted. A very knowledgeable guide showed us around the Jewish ghetto and synagogue. Thermal Baths - There are a few in Budapest, and one is very close to the Budapest Zoo, but I personally didn't have any desire to swim in the same water as so many other people. Rose gelato and cherry wine. Next holiday destination sorted! Great post and love the pictures! This trip looked very adventurous and interesting! I love all of the pictures and like Sincerely Miss J, I enjoyed reading about the yummy looking flower! !